Posted on Friday, June 1st, 2018 in In The News. Entrepreneur Roland Fournier gets almost everything right these days. When asked what area of his business is the busiest, Roland reports, “That too is always changing. 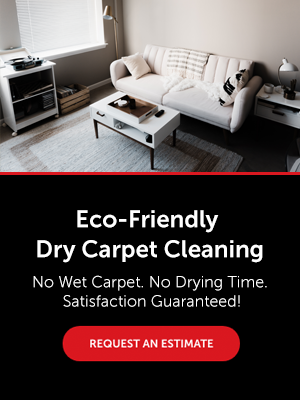 Around the holidays it is usually carpet cleaning; however, we are doing a lot of grout cleaning – the service is second to none in results.” They also have the expertise to clean, seal and color enhance natural stone floors and countertops . We live in a different world these days. “Yes, it is a transitional time, but it is rich with opportunity. Canadian Service Industries is a local Canadian company and it is growing. We hope to open the first franchise in the spring of 2012.” Small businesses benefit from global technology and equipment. Canadian Service Industries’ tile and grout cleaning machines are made in Italy, the home of ceramic and marble. Having expertise and cutting-edge equipment from overseas would not have been possible or affordable a few decades ago. It’s quite amazing; 280 degree dry vapor heat will safely sanitize your floors. New and expectant moms and people with asthma and allergies love this service, but really it is good for all of us, even our pets. Dry vapor machines go into each line of grout without damaging it. Once tiles and grout are cleaned, grout can be clear sealed or stained to achieve a whole new look for a fraction of the cost of replacing flooring. There is no dust, nothing blowing, no taping – virtually zero downtime, making it simple to change the look of that 80’s dusty rose flooring to a crisp modern look. It’s practical and environmentally sound, not filling landfill sites or emptying pockets. For Roland part of the passion is being an entrepreneur – developing the vision he and his wife Melissa share. “We both believe young people today need to find education and work that has value. We are constantly striving to find innovative and creative ways to meet the needs of the public. Like most parents, this couple hopes their 22-year-old daughter and five-year-old-son will be inspired to follow their own dreams one day – if they have an idea, work hard and follow it through.” Roland was just a kid when he started his first business venture. He began painting his friends’ bikes. He started fooling around on an old tin sign with spray bombs. He learned to control the spray to make a beautiful finish. He charged $5 a bike, his Dad thought he was crazy but his friends kept coming. He knew right then the key to success was customer satisfaction.